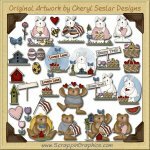 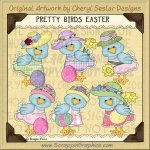 This charming instant download contains everything you need to give your projects that touch of prim and whimsy. 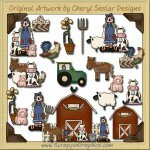 This set includes 14 graphics: 2 frames (leaves & berries, pine & berries), ginger girl in red, ginger girl in green, Santa Claus holding snowman, Santa Clause carrying basket, Santa Claus face, snowman holding heart, snowman waving, snowman holding gingerbread man, snowman with bird, snowman holding tree, snowman holding sheep, snowman carrying stars. 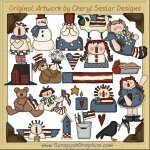 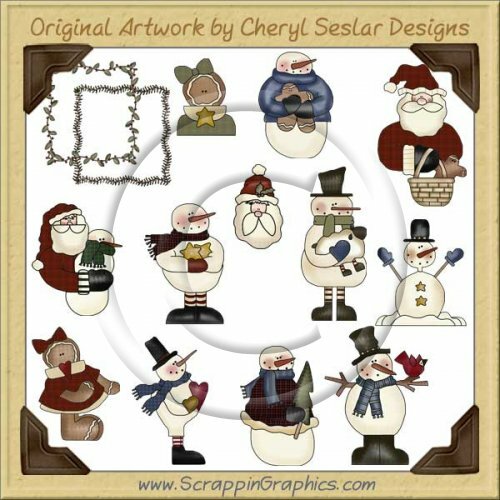 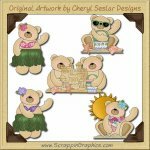 Adorable collection for creating Holiday and winter scrapbook pages, Christmas cards, invitations, tags and printables.